Stop the Rental Fires Now! City inspections of Bellingham rentals are due to begin in the 2nd quarter of this year. Over 18,000 rental units have so far been registered for the first round of an inspection regime to take place over the next three years. And none too soon! 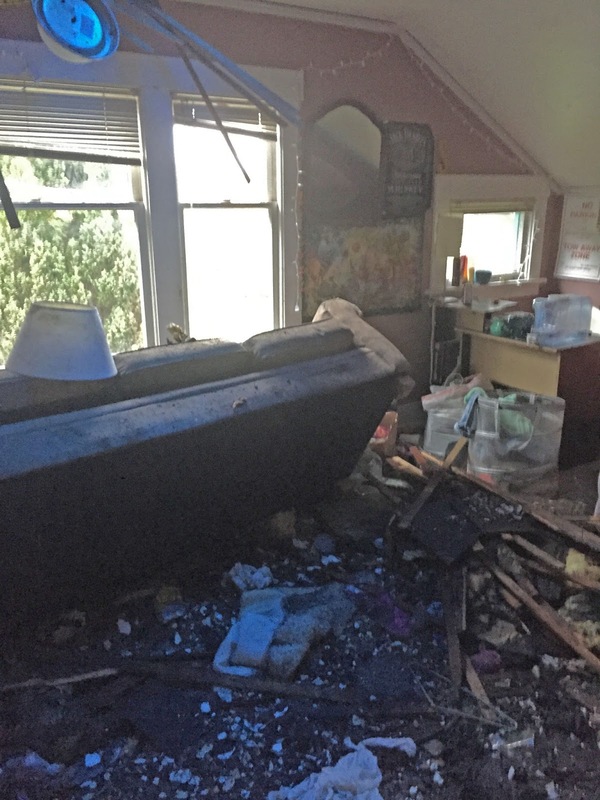 Since 2011 we have chalked up seven rental fires that have displaced about two dozen young student renters. These fires must be stopped before someone is seriously injured or killed. Most recently, on 14 December 2015, a fire broke out in an 85 year old duplex rental home on Ellis St. The home is the property of the notoriously ubiquitous landlord Dave Hansen of Lakeway Realty who owns property citywide. 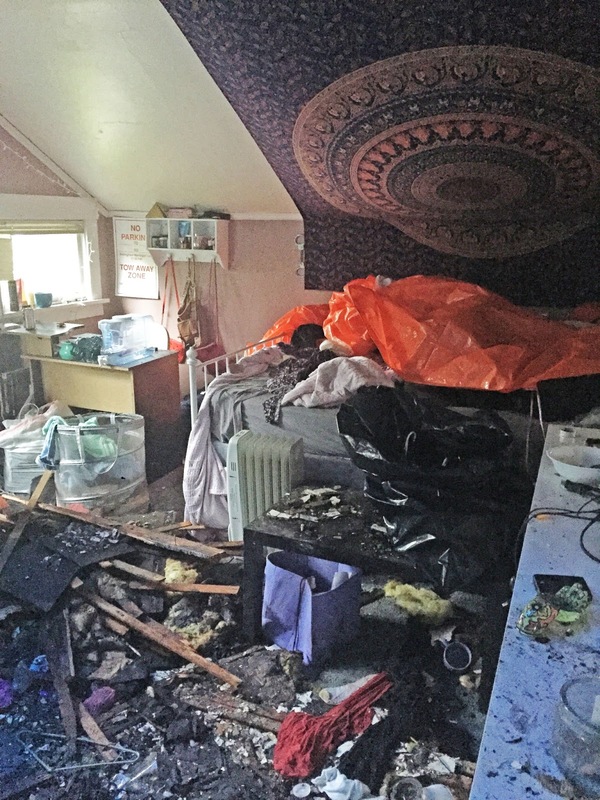 Most of the female occupants (three upstairs and three down) were on holiday break from WWU and WCC, however, one of the remaining young women was at home upstairs when she was alerted to the fire by a next door neighbor. Smoke alarms failed to sound due to “discharged or dead” batteries according to the fire marshal’s report. Unfortunately, this is not the first fire in a Hansen rental. On January 11th, 2011 a fire in another of his rentals on Grant St. displaced student renters. In December 2011 a fire in a Hansen rental on Maple St. left five young women renters from WWU homeless. Nearly half of the rental fires in Bellingham since 2011 have been in Hansen rentals, although the word out on local campuses is, “Do not rent from Lakeway Realty.” Yet young student renters continue to rent from Lakeway because there is little to no choice. The women who rented the home on Ellis St. had about 15 minutes to inspect the house prior to signing the lease even though they were aware of the reputation of Hansen and his property management firm. They described mold on the crumbling ceiling of one of the bathrooms that had been painted over. A window broken out after the move-in was not repaired but was finally replaced by the tenants themselves at their own expense. At least one smoke alarm was beeping during and after the move-in but the tenants were not aware of the source of the warning signal which finally stopped. Another smoke alarm in the downstairs unit was also not working. In addition, nobody informed the renters of the separately rented upstairs unit that the heating system for the entire house had one thermostat control and that was located in the lower unit of the duplex (also separately rented) to which they had no access. Notwithstanding the condition of this house, the landlord charged the tenants $1450/mo rental for the downstairs unit and $1200 for the upstairs unit. As in the Grant St. fire, the cause of the Ellis St. fire was electrical, in an attic space. Contributing to the cause according to the official report was an “installation deficiency.” The tenants also told of old, deteriorated electrical outlets. There were no ground fault interrupters (GFI) in the bathrooms, but the tenants only realized that after having been given a description of the outlet that should have been installed. At one point the stove caught fire. It took two weeks to replace the stove while the tenants were advised to buy a camping stove to do their cooking. These small stoves are notorious for giving off carbon monoxide, an odorless and deadly gas. To date, the renters of the Ellis St. duplex have not received their security deposit from the landlord. The house was tagged as condemned by fire and city officials and some windows were boarded up. The photos below show the second floor just after the fire. This may have well been a scene of death. Unfortunately for the renters, who had no insurance, the house was almost immediately broken into resulting in some property loss and additional trashing of the interior. Inexplicably some of the electrical outlets were missing. The young women received no assistance from the landlord after gathering a few belongings from the house. The Bellingham rental registration and inspection ordinance may, at last, do away with these dangerous rentals. Additional efforts are being made by WWU's Campus Community Coalition to educate incoming students about entering into rental agreements. This long time landlord tyranny in the rental market should eventually be eliminated.